XFX Reintroduces Hawaii's Infamous Blower Style Cooler For R9 390 Series Cards - Will It Handle Grenada Based R9 390X and R9 390? XFX Reintroduces Hawaii’s Infamous Blower Style Cooler For R9 390 Series Cards – Will It Handle Grenada Based R9 390X and R9 390? Back in June, AMD launched a revised version of their Hawaii core known as Grenada which was featured on the new Radeon R9 390 series cards. Better in every possible way, the Grenada based cards feature impressive performance and are highly competitive against the Maxwell GM204 series cards. 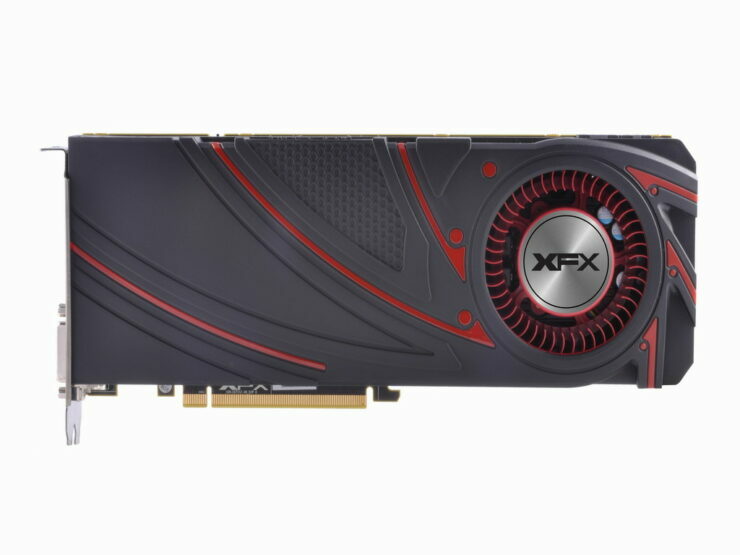 We have seen some really good custom cards based on the Grenada core but XFX made an interesting decision a few days ago to feature a cooler which we all remember from the previous R9 290 series cards. Known mostly for its poor performance on the Radeon R9 290 Hawaii cards, the blower style cooler did look very impressive during its launch back in 2013. Being a totally new design over the previous 7000 series and featured on AMD’s Sea Islands family, the blower style cooler was not properly optimized for a chip as big as the Hawaii GPU which resulted in poor temperatures and the cards were blistering past the 90C barrier (95C full load temperatures). Furthermore, the blower fan was loud using either ‘Quiet’ or ‘Uber’ mode profiles so they made little sense aside from upping the clock speeds a bit. 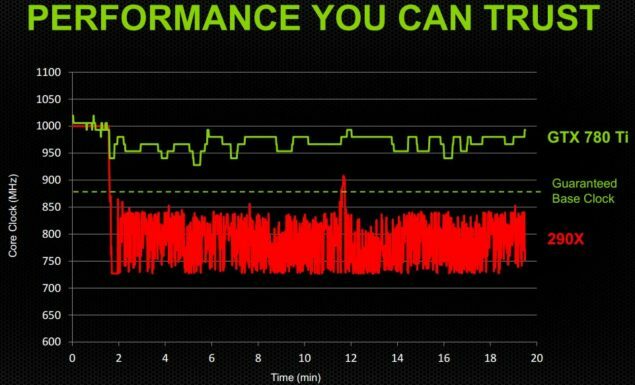 This only meant that the card would have to throttle during gaming loads, not maintaining a constant clock speed unlike its direct competitor, the GTX 780 Ti at that time. 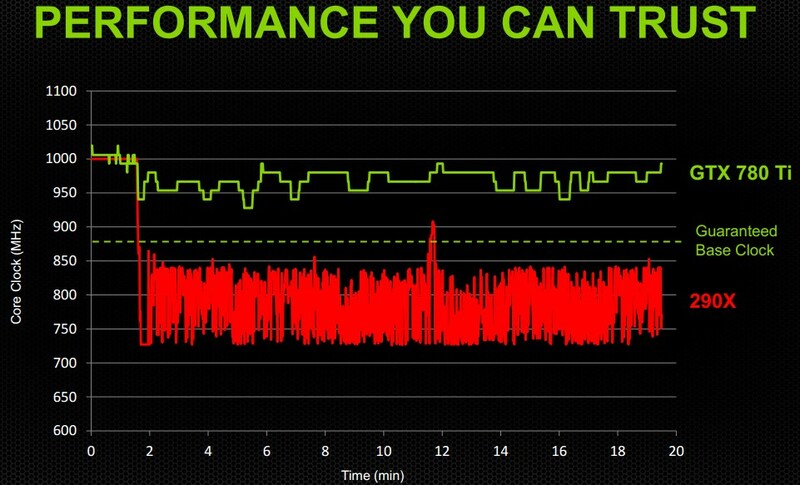 Overall, the cards featured a good punch of performance but were affected by poor cooling and noise output. 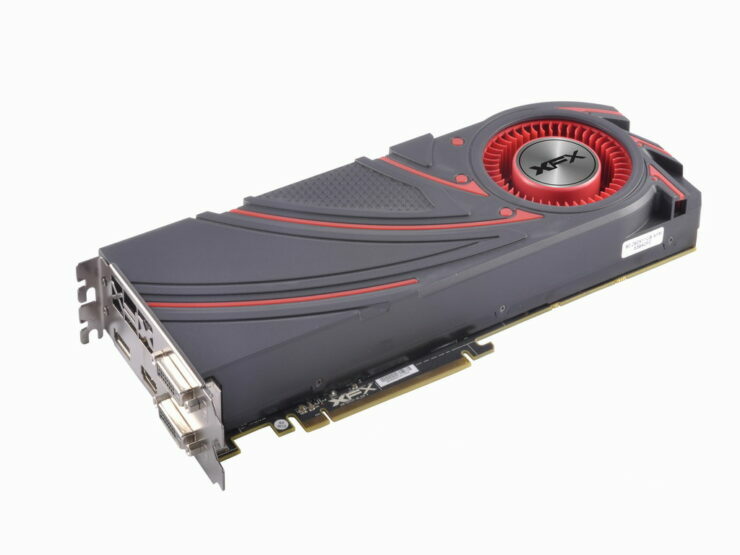 The issues for Radeon R9 290 series was resolved after AMD gave the greenlight to their AIBs to release custom variants of the card featuring better cooling and superior PCBs. 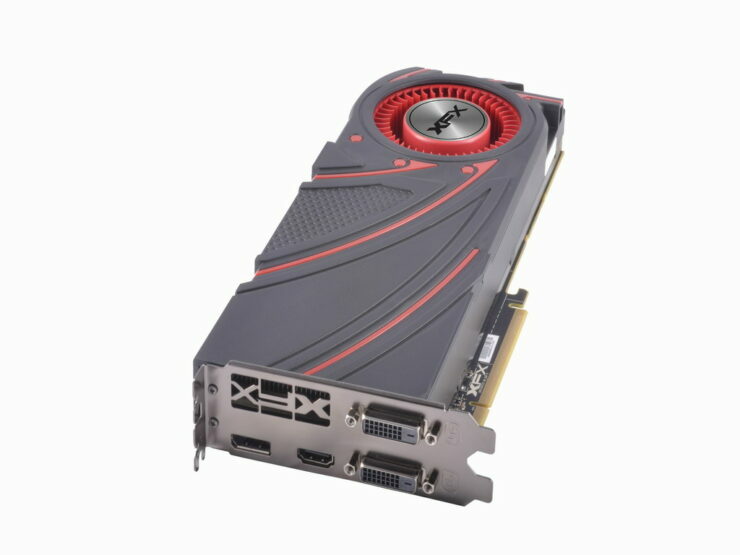 XFX’s decision to reintroduce the Hawaii cooler on Grenada based cards is very interesting. XFX currently offers several custom variants of the Radeon R9 390 series cards but Hawaii style versions could mean slightly lower manufacturing price at the cost of slightly higher temperature and possibly a bit more noise unless XFX added a few tweaks of their own to the cooler. The design of the cooler is kept the same with the red and black feature all over the shroud which represents AMD. The dual slot compartment houses the vapor chamber block that is cooled down by a single blower style fan and heat is pushed out from the front exhaust vent. Now that AMD’s Grenada has launched in the market with a tweaked design over Hawaii, we will definitely see lower temps on R9 390 series cards even when they use the blower style cooler. 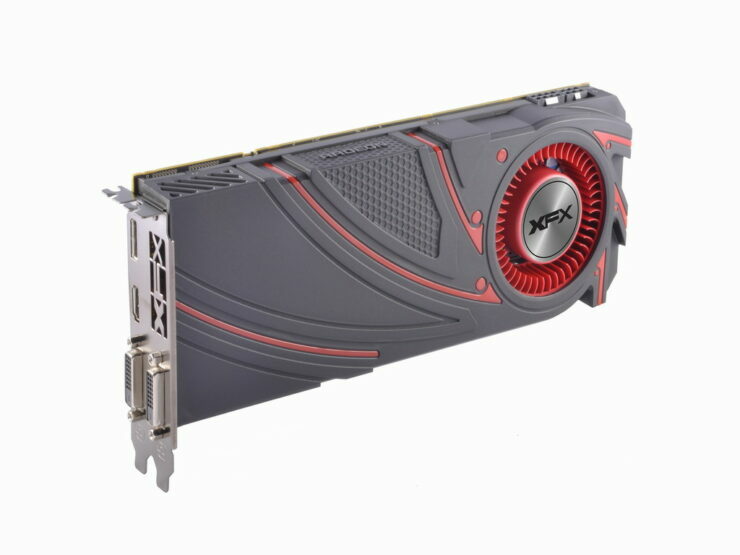 The AMD Radeon R9 390 series consists of two cards, the Radeon R9 390X and the Radeon R9 390. Starting off with the top end AMD Radeon R9 390X, we are looking at the Grenada XT (Hawaii XT) core with 2816 stream processors, 176 TMUs and 64 ROPs. The card features a clock speed of 1050 MHz and has the 8 GB GDDR5 VRAM clocked at 1500 MHz that runs across a 512-bit wide I/O interface and pushes out 384 GB/s bandwidth. The card is powered by a 6+8 Pin configuration and will be available at retail with a price of $429 US. The second card is the Radeon R9 390 which comes with the Grenada Pro (Hawaii Pro) core with 2560 SPs, 160 TMUs and 64 ROPs. 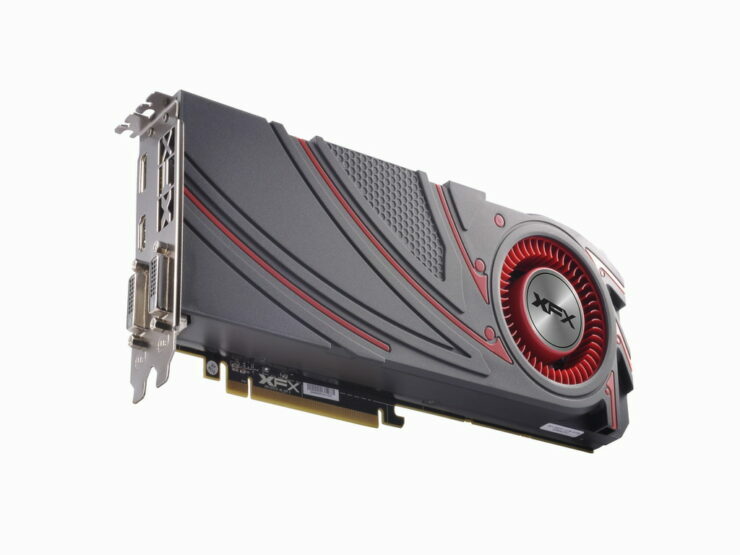 The card has clock speeds of 1000 MHz core, 1500 MHz memory clock (6.0 GHz QDR) and has 384 GB/s bandwidth output. The card is priced at $329 US. 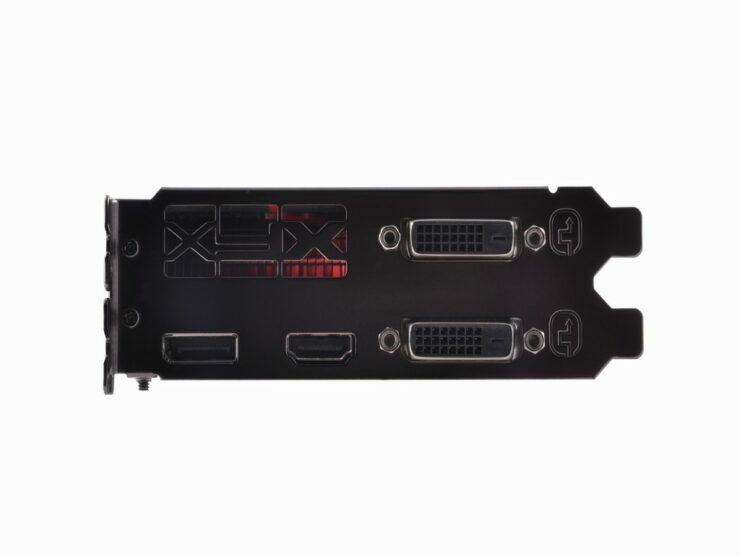 The cards have Dual – Link DVI, HDMI and a single Display connector for display ports. Both cards have a 275W TDP and are powered by a 8+6 Pin power configuration.